This low-profile fixture is designed to attach all ETXv3 enclosures to the OEM tower position found on late model MasterCraft boats. 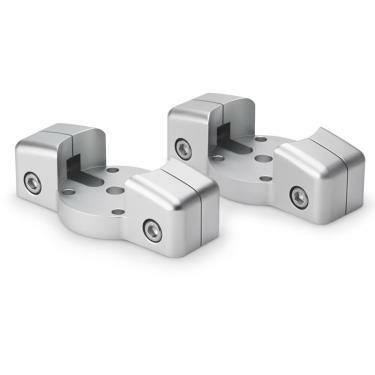 Armed with a tough, clear anodized finish that’s UV/corrosion-resistant, each fixture is precision-machined from marine-grade aluminum to create rock-solid attachments points. Each fixture set is designed to mount two ETXv3 enclosures and includes stainless-steel hardware for years of durability. Low-profile mounting fixture for M880-ETXv3, M770-ETXv3 and MX770-ETXv3 models. Fits late model MasterCraft boats only. Sold in pairs.